Those who have booked JioPhone and have not received their unit yet, there is some good news for you. As per recent reports, you will receive it by Diwali. 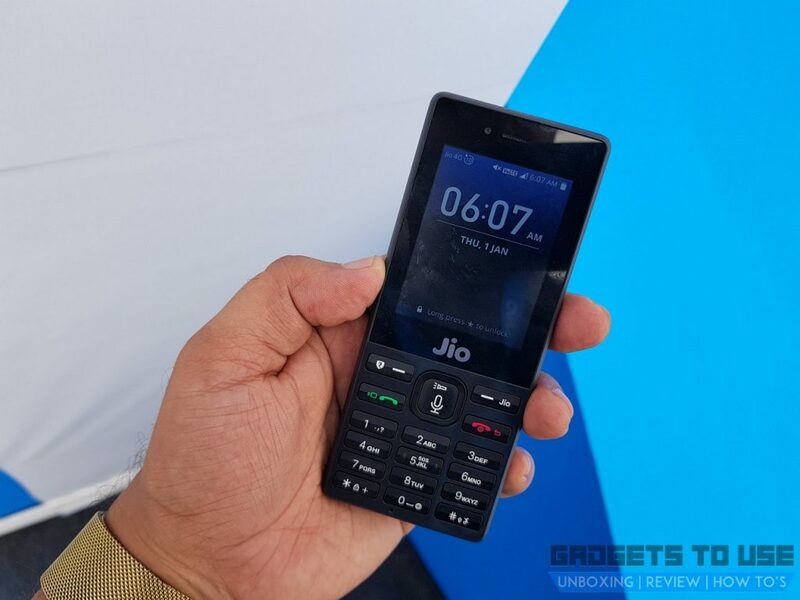 The JioPhone delivery had already been started earlier this month for metro cities. Now, it is expected to be completed by Diwali October 19, as per a PTI report. The news agency citing a Reliance Retail channel partner also claims that the second phase of pre-booking will also start after that. So, this is a good news for those who were unable to book the handset in the first phase. They can now pre-book the JioPhone after Diwali. JioPhone booking started on August 24 and about 6 million JioPhone units were booked in a single day and a half. To recall, the pre-bookings of the 4G feature phone was halted due to excess demand in the first phase. Reliance Jio said that it would deliver the 4G feature phone on first come first serve basis and it had plans to deliver 5 million units per week. Reliance Industries Chairman Mukesh Ambani had announced at the time of JioPhone announcement that the 4G feature phone will be “effectively free” for users, but to prevent misuse of the scheme, buyers will need to pay a one-time fully refundable deposit of Rs. 1,500. The deposit amount will be refunded to customers after usage of the phone for 36 months. After that, when the delivery started the company has also introduced some terms and conditions regarding the JioPhone. This includes that customers have to spend at least Rs. 1,500 on recharges every year and will have to actively use the device. If the conditions are not met, the company may ask the consumer to return the phone. It also forfeits the refund policy and levies the applicable tax under the conditions set by Jio for the users.